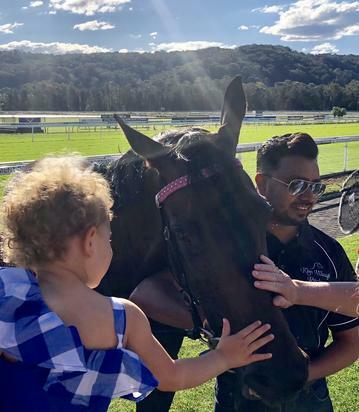 Kim Waugh Racing Stables :: Oxford Angel Scores Exciting 2nd last to First win at Gosford on Saturday! Oxford Angel Scores Exciting 2nd last to First win at Gosford on Saturday! 4yo mare Oxford Angel sure didn't look to be in a great winning position when she settled a long way off the pace in 2nd last spot in the BM 64 over 1200m at Gosford on Saturday with 2kg claiming apprentice Robbie Dolan aboard! Eased to the outside coming to the home turn though things started to get pretty exciting when she commenced to sprout wings and finish off quickly. With the short straight and winning post looming fast, was she going to make it in time! That she did, grabbing victory by the barest of margins and taking her career tally to 2 wins and 3 placings from just the 7 starts! Poor Mo The Great deserved a better fate when he was relegated from his 3rd spot to 4th placing in the final heat of the Spring Provincial Series. 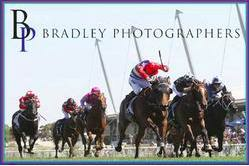 In a roughly run affair he was knocked from pillar to post yet was still there fighting hard at the finish. Congratulations to all our winning owners and to the team including Angel's strapper Aaron on a job well done!